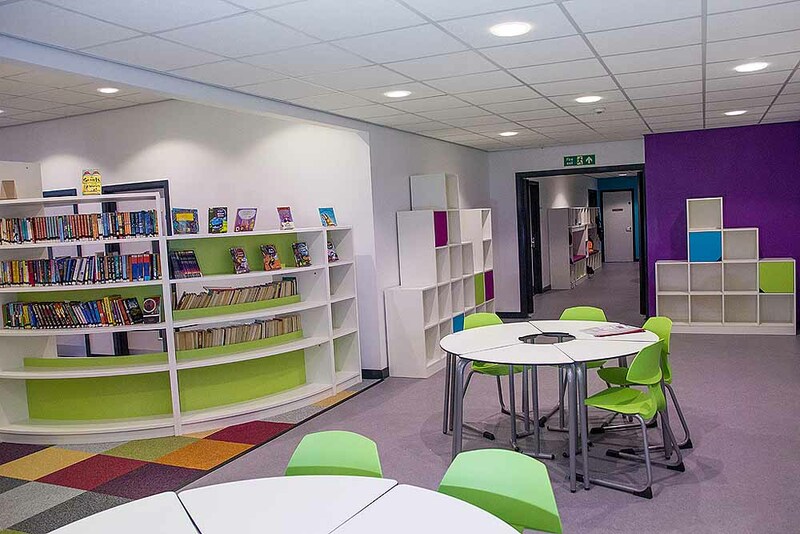 zioxi worked alongside Barnard Grove Primary School in Hartlepool, to develop a bright and engaging learning environment for their new £2.8m two-storey building providing places for 315 pupils, as well as a 26-place nursery. 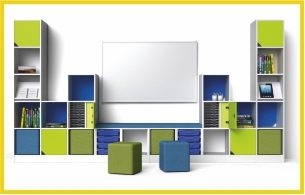 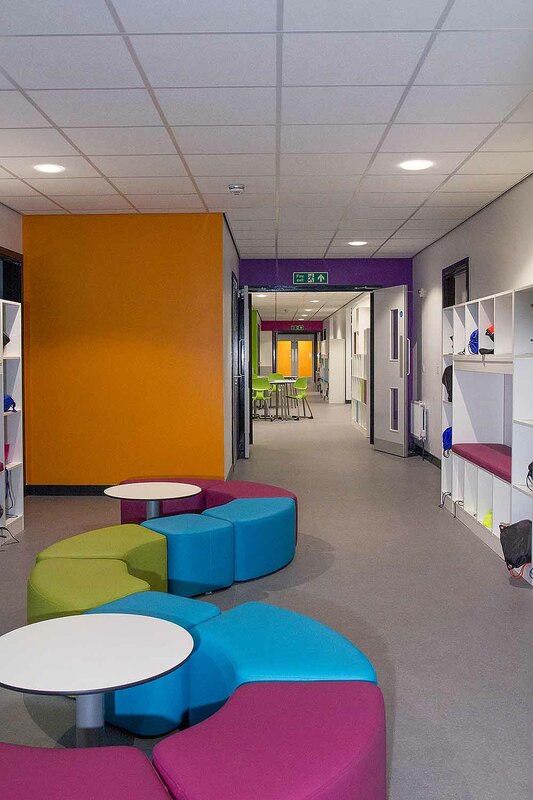 From the outset, the vision for the school was to create classroom spaces that were flexible, an LRC space which would become the ‘heart’ of the school and also to maximise storage space wherever possible. 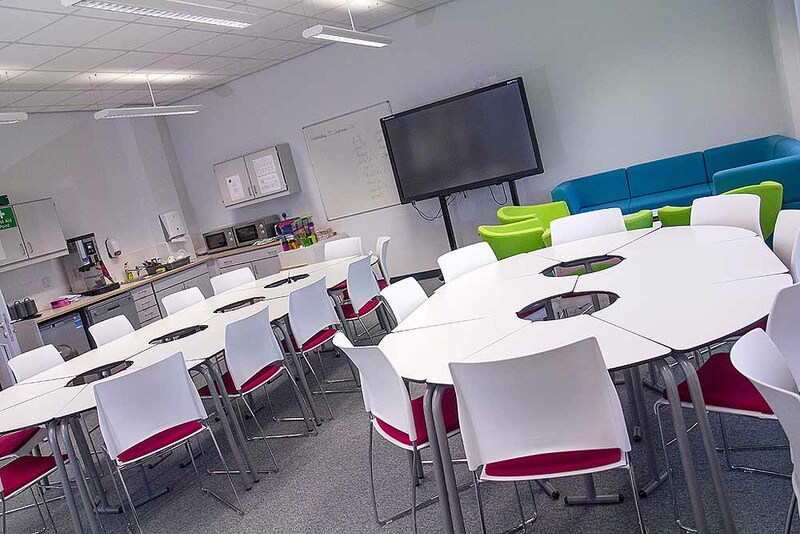 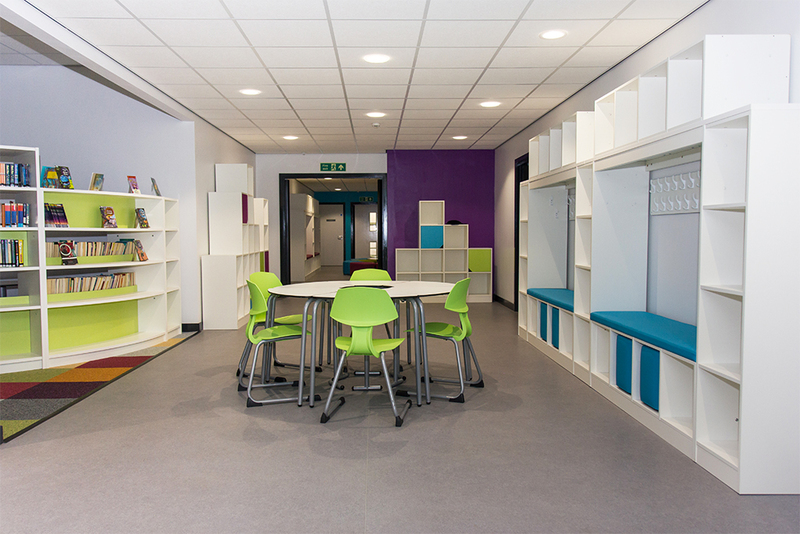 In the classroom spaces, t41 tables were used alongside T-chairs on a cantilever frame. 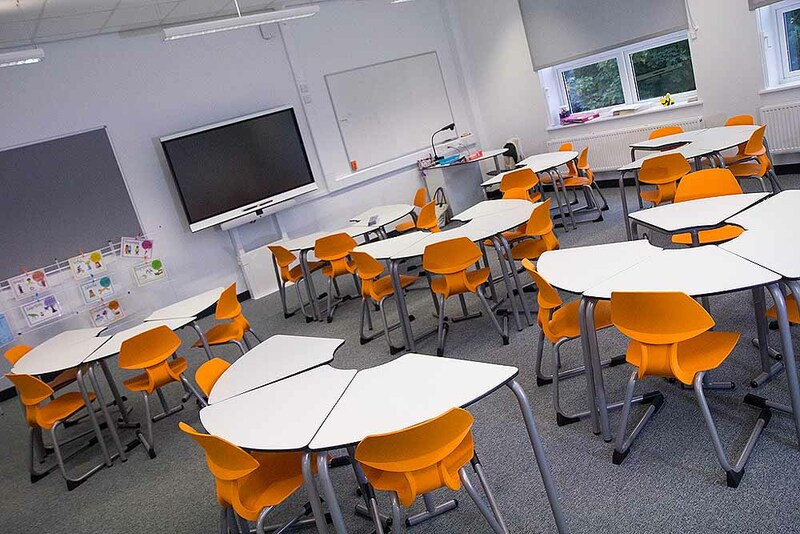 This allowed the classroom desks and chairs to be easily rearranged by the students depending on the classroom activity taking place. 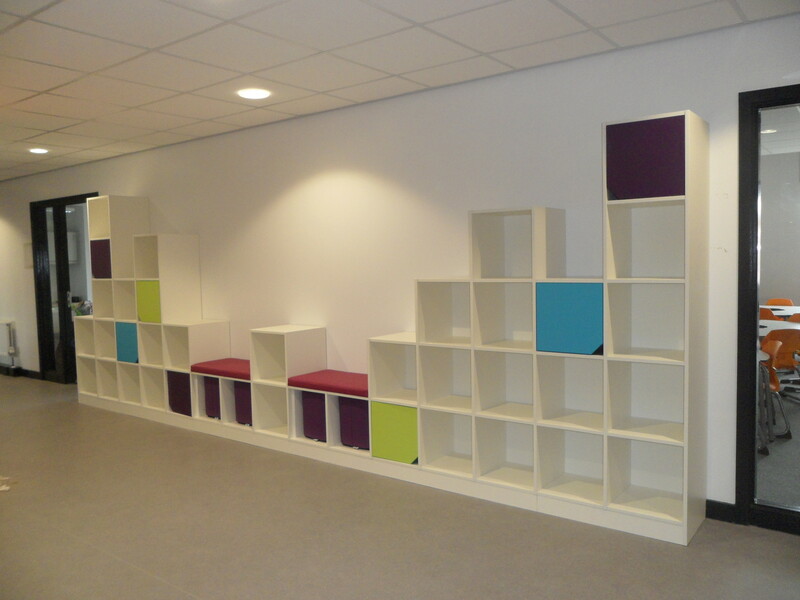 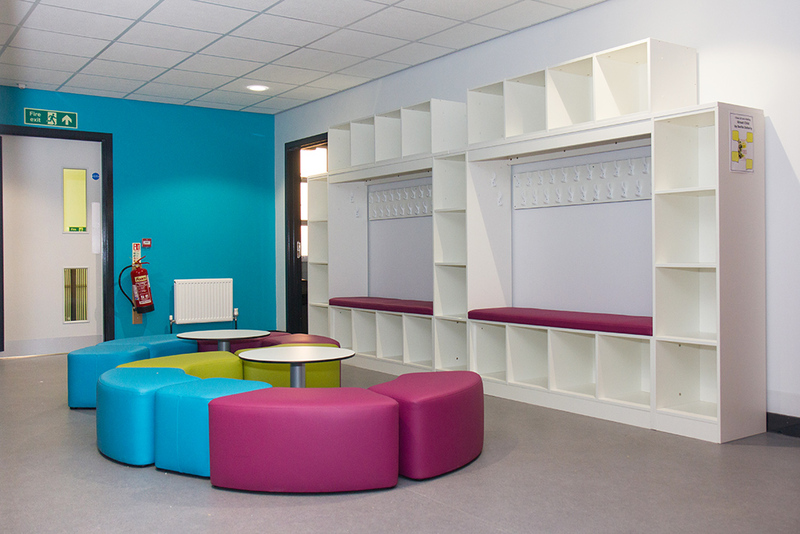 Throughout the corridor spaces, a special CubeWall system was designed to provide the students with space to store their coats and bags in an imaginative and colourful landscape of cubes. 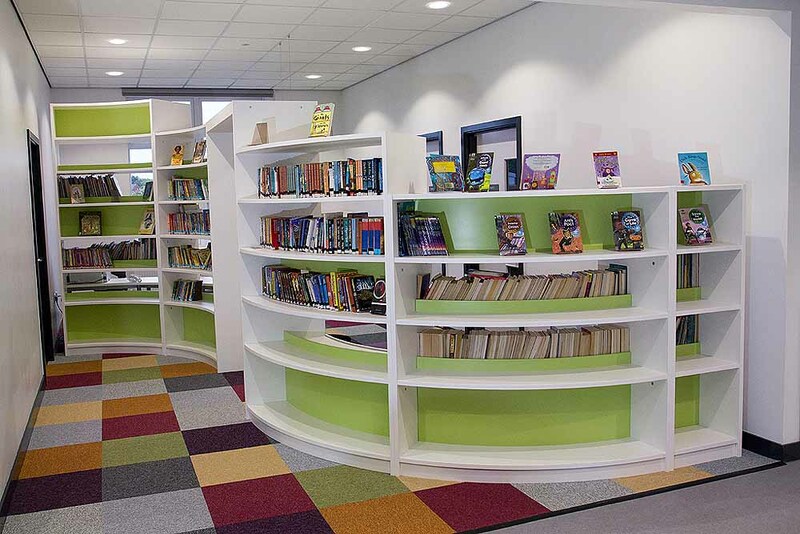 The LRC is a space that is used by students of all ages throughout the school, doing activities such as 1-to-1 reading, IT working on computers and researching. 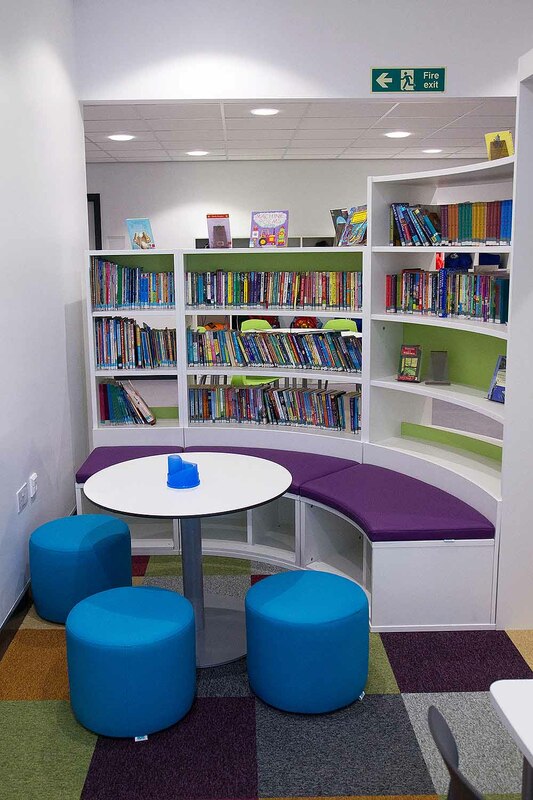 The school was keen to create little ‘nook’ spaces, so the curves of the Bookworm worked perfectly to provide quieter areas where the children could work or read. 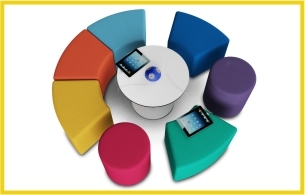 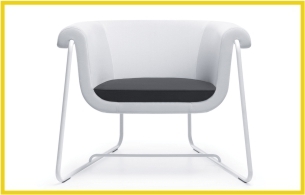 In the Breakout areas, the flexible furniture solution was continued with s41 upholstered stools that could be arranged in circles and waves.